Summer break comes and goes so much faster when you are at the receiving end of an interested employer. 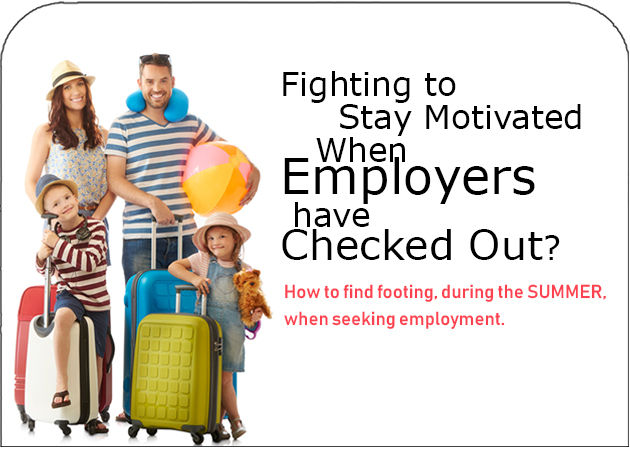 But what do you do when all employers seem to have “checked out”? There are times when employers tend to have more interest in their staffing. A month before the weather turns hot in the North East isn’t that time, unforturnately. Put yourself in their shoes. They have most likely been going guns-a-blazin since Jan 1, meeting project and sales goals…and now the spring buds have sprung and they are switching into ‘coasting mode’ until their vacations. DON’T SLACK. Start working on your longer game. Pretend you have the job. Think FALL GOALS – Look at your list of prospective employers and assess whether you would be a great fit for them. Pick an Employer that is your TOP CHOICE and pretend you have been hired. 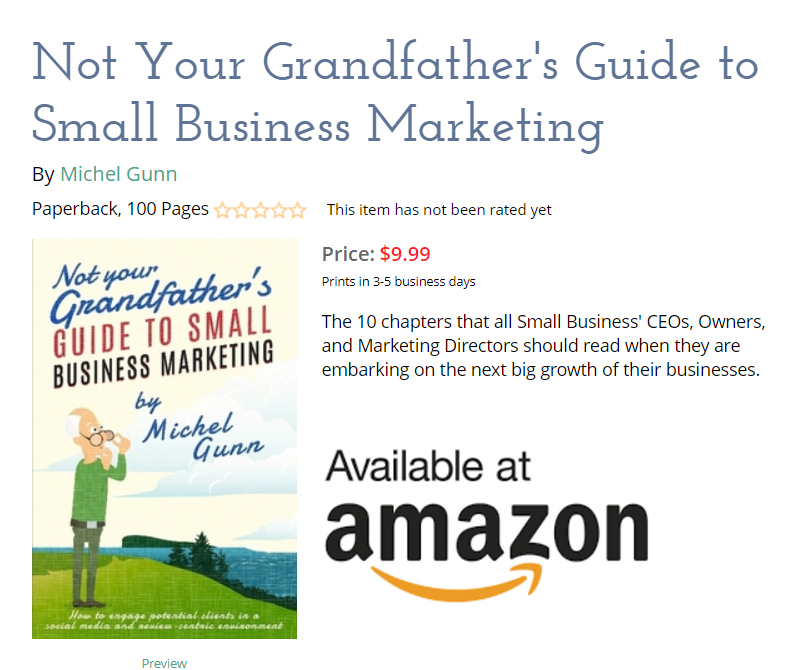 Formulate what you would do to contribute to their business to make it grow. Put together a project that you would create and implement. Start working on the project as if you were employed. If the project requires a team to implement, put together their punch lists. DEMONSTRATE YOUR KNOWLEDGE AND SUITABILITY FOR THE JOB. You can do this by creating a list of actionables that can be implemented immediately upon hiring. KEEP FOCUSED by going back to the CONCEPT AND GOAL mentioned above. Keeping focused is the hardest thing to do when you don’t have a MUSE, such as an employer or a place of employment with a brand and parameters that define work. So, find triggers that will motivate you to stay focused. Example #1: If you are trying to get into Real Estate, come up with your pitch. Remember, competition is tough, so BE INNOVATIVE and find your edge. For example, you can start a blog like “Homes in New York that have never lost electricity” …anything to make you stand out. Example #2: You are trying to get a job as a salesperson in the Wholesale Diamond industry. Think of ways you can reach people with information they don’t already have. Then use instagram to generate a buzz with great visuals about information such as “how diamonds are cut to give them their shine”. You are trying to get back into event planning after a 15-year break. You definitely learned new things during your break, so, show how they can add value in the corporate world. For example, create a concept on “picnic in the winter for your holiday party”. REMEMBER, CORPORATE PLAYERS ARE PEOPLE TOO. They will want to understand your decision to come back after your time away, so give your come-back a fresh spin and put it into perspective for them. Make them see how your time off work makes you a valuabe person. What will ‘Pretending You Have the Job’ do? This will give you actual CONTENT to speak about. That is, you will effectively shift the conversation from about you and your unemployment to about YOUR IDEAS and KNOWLEDGE for enhancing the company. You will be able to write about your subject matter on employment blogs like Linkedin, which also serves as a reference when speaking to potential employers about ideas. In addition, it will give you a better opening line for your emails to potential employers. No longer will you be asking them if they have made a decision, (employers rarely answer such questions…), but you will be asking them questions that INSPIRE a thought path. This will in turn gain their respect and acknowledgement. I’ve been watching the tactics in play on the _________ selling, and think it could be used more like this __________. I was wondering about your thoughts on the matter. I’m sure you’re busy and things are probably entering the summer slowdown for decisions, but I’ll be formulating some ideas to discuss when you are able to sit down and talk about your needs in the role of __________. GIVE IDEAS. The employer wants to hire someone who is going to make them look good and inspire them with ideas or better ways of doing tasks. INSPIRE, and EMPATHIZE. Again, put yourself in the employer’s shoes. Bottom line: Follow this guide and it will serve to give you the right balance of enthusiasm and interest, and hide the anxiety of seeking a job while it is “quiet”.